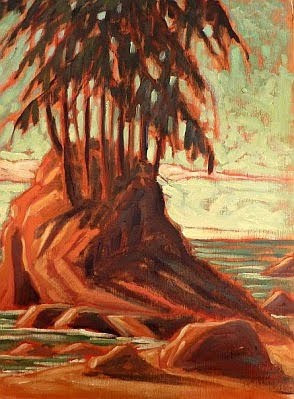 a visit to Salt Spring Island" painting. adventure to Botanical Beach Park. warm sunshine and fresh ocean air! to see a Northern Pygmy - Owl. 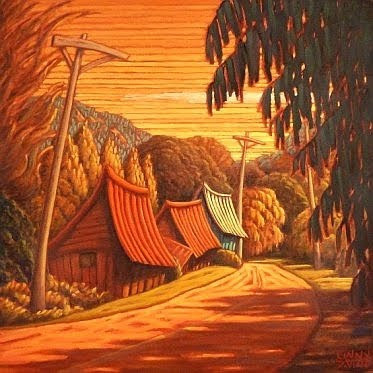 "Sunny Day - Botanical Beach Bay"
Sun Neen Fai Lok! /Happy New Year! strung high above the cherry and pine trees. and the pine tree represents longevity and endurance. A big thank-you to Bill! And, wishes of happy hearts for all! outdoor adventure to Highrock Park. It was on a grey day in early January. and the gold sky appeared. 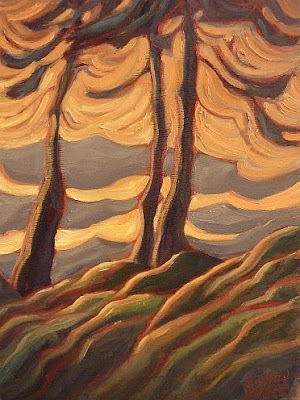 "Gold Sky and Firs -Highrock Park"